After a long, long wait Transistor is finally here on the PC and PS4 platforms, and more than a few people have started to celebrate the launch. One such fan is oyasumuidesu, who is seen showing off the blade wielded by the heroine Red. 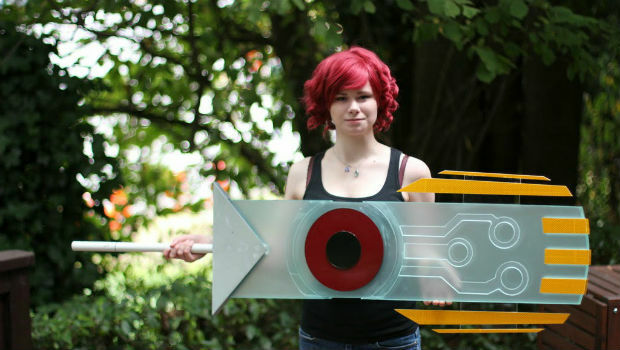 Evidently the sword was brought to PAX Prime late last year, before it was repaired with new fins and reposted in its new glory last week.